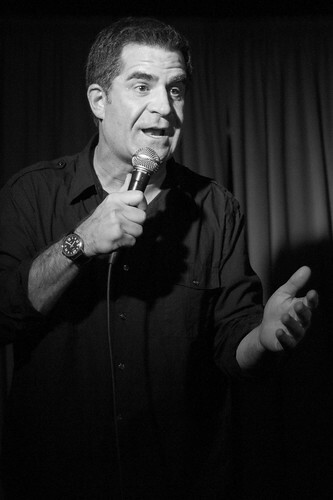 You have to give it to Todd Glass: the guy sure owns a room, in more ways than one. 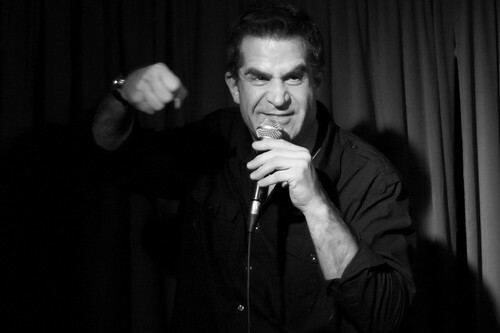 A year after his last appearance at Toronto’s Comedy Bar, Glass came with a mission to turn the venue into his personal basement fort: a red velvet curtain taking the place of the regular black backdrop, candles added to the tables, red gels over the house lights. This M-Barring of the venue, while a nice enough touch, seems like a proverbial rearranging of the deck chairs. Why pretty up a room that you’re just going to destroy anyway? 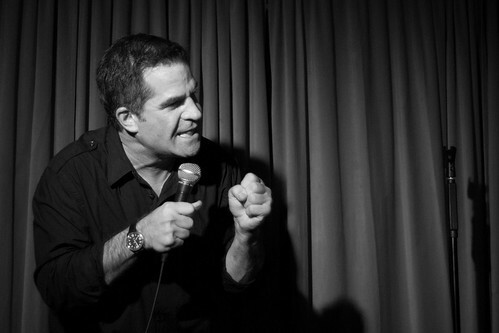 The experience of seeing Todd Glass live is exhausting, in the best possible way. True to his style, he relentlessly improvised his way through music cues and occasional sound effects (“I’m a morning radio show now”), went on a lengthy riff when an audience member brought him a glass of water (“it’s poison! No… actually it is! No it’s not. It is, I’m serious now!”), and shared new (scandalous!) details to the tale of his 2010 heart attack. The pure silliness of his Sham-Wow closer just gets better and better, and I’ll mourn the loss of it should he ever retire it. At the show, it was announced that Glass “may” be back in town next month to open for Louis C.K. 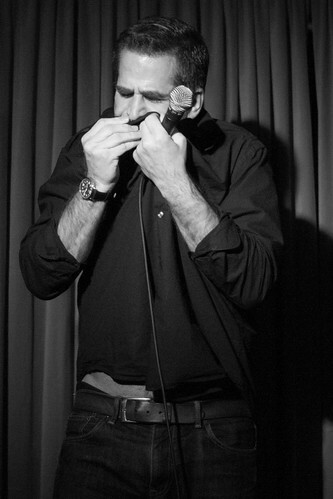 as part of JFL42. The Sony Centre would be well advised to stock up on tealight holders. 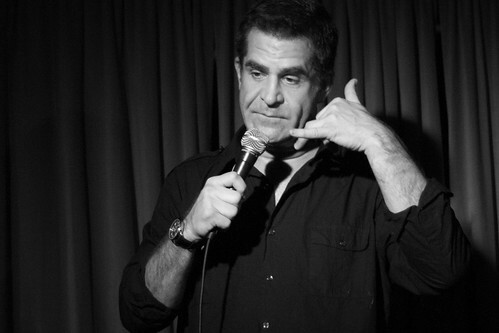 Tickets are still available at the door of Comedy Bar for tonight’s 8pm standup show, and the 10:30pm Todd Glass Show podcast recording with guest Rob Mailloux.